An update of the BMW digital road map allows your navigation system to reflect the latest changes in the road network, to drive more efficiently and to always find the best and most direct route to your destination. The installation process is a very simple process done via a USB stick. 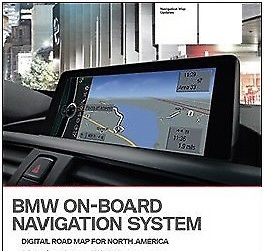 Order the latest version of maps for your BMW today! 2. Plug USB in car start update form screen. Copyright � 2010-2018 BimmerGuru�. All rights reserved.